Erika Contreras is an attorney at Panish, Shea and Boyle. She currently focuses her practice on mass tort pharmaceutical and medical device litigation as well as on catastrophic personal injury, wrongful death, and motor carrier liability. Prior to joining Panish, Shea & Boyle in 2011, Ms. Contreras was an attorney for the A.V. rated firm of Kussman & Whitehill where she represented plaintiffs in cases relating to catastrophic personal injury, product liability and medical malpractice. She has litigated cases involving defectively designed and manufactured tires and was involved in the Bridgestone/Firestone and Continental Tire Judicial Council Coordinated Proceedings where she helped injured Plaintiffs recover millions of dollars. Ms. Contreras received a Bachelor’s Degree from UCLA in English with a minor in French. She then went on to attend Loyola Law School and obtained her J.D., all while working full time at Kussman & Whitehill. 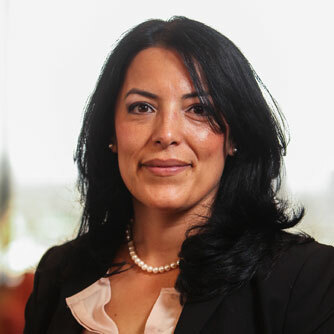 Ms. Contreras is admitted to practice law in California and Nevada and is a member of American Association for Justice, Consumer Attorneys Association of Los Angeles, the Mexican American Bar Association, and the National Association of Women Lawyers. She has also been recognized by Super Lawyers as a 2015 Rising Star and Los Angeles Magazine’s Top Women Attorneys in Southern California.